You might want to monitor network connection after setting it up in Windows XP. 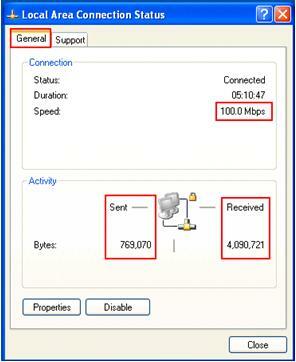 This XP monitoring feature is useful to check your network speed, sent and received traffic information. 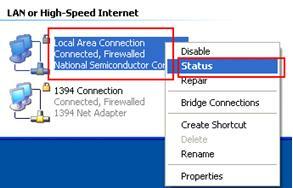 You can check network card IP information by using this feature also. 3) Network Connections window will appear. Right click correct Local Area Connection by identifying correct network card. Click on the Status. 4) Select General tab, you will see network speed, Sent and Received packets in Bytes. Usually received packets will be bigger than sent packets. 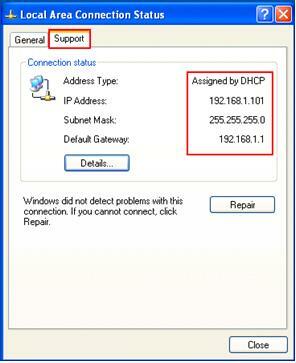 5) If you click Support tab, IP information of this network card will be displayed.